The last few months have seen discussion on the definition of "beauty" as applied to molecular structures. As a molecular modeler, I ended up ruminating on what I think are the features of molecules that I would call beautiful. This kind of exercise may seem pointless since it's highly subjective. And yet I think that exploring these definitions is valuable because at least a few of the conflicts that occasionally erupt between groups of interdisciplinary scientists seem to reside in divergent definitions of molecular beauty. A typical scenario is when a modeler designs a molecule that seems to fit perfectly in a protein binding pocket, only to have it dismissed by the medicinal chemist because it's too hard to make. Or because it looks like a detergent. In this case, structural beauty has not necessarily translated to practical beauty- always a consideration when one is talking about molecules which ultimately have to be synthesized. In fact, projects can often progress when different scientists agree - often unconsciously - on a notion of beauty or utility and they can falter when these ideas lead different scientists down very different paths. So what kind of molecules does a modeler find pleasing? Let's first look at structure-based design which in its broadest sense entails acquiring crystal structures of proteins and finding and tailoring molecules to fit the binding site of those proteins. Beauty in structure-based design is not hard to appreciate since it inherently involves protein structures, paragons of symmetry and parsimonious elegance. In this sense the modeler has much more in common with crystallographers than medicinal chemists. He or she is always struck by how precisely oriented the amino acid residues in a protein's binding site are. Concomitantly, it's not surprising that for a modeler, a particularly beautiful molecule may be one that makes interactions with most or all of the residues, especially in the form of hydrogen bonds with geometries so perfect that they might have fallen from the sky. This preference for geometric complementarity is extremely general. A particular pleasing manipulation for a modeler may be one that leads to a perfect fit for a given protein cavity, with the contours of the molecular surface of the molecule following those of the protein. Yet there are limits to how far this beauty-from-complementarity can take you. Designing a molecule with interactions that are too tightly knit and precise may leave very little room for error. And considering the inherent inaccuracy of many modeling algorithms, it may be best to always be forgiving and give the design some space to move around in the binding site, so that slight reorganizations of both protein and ligand can still result in reasonably tight binding. While we are on the subject of shape complementarity, let's not forget a factor which has only recently been started to be taken into account - water molecules filling the active site. These water molecules which are often highly constrained can have a perverse beauty of their own; they are sometimes trapped in both an entropic (no freedom of movement) and enthalpic (unable to satisfy their optimal four hydrogen bonds) cage, and yet they are the only things keeping the protein from what technically must be called a vacuum. These water molecules deserve to be freed, and there is a particularly deep kind of satisfaction in adding a functional group to a ligand that would displace them from the protein's tight embrace and enable them to join the ranks of their hydrogen-bonded brethren. A modeler could regard a modification precisely tailored to improve affinity by freeing up a water molecule as a particular beautiful case of molecular engineering. Yet as we have sometimes seen, the beauty of filling protein pockets with perfectly matched shapes may lead to a conflict with other practitioners of the art. For starters, a relentless march toward adding functionality can detract from at least two important features - size and lipophilicity - both of which are often casualties of "molecular obesity". Dents in beauty can come from too many chiral centers, aromatic rings or quaternary carbons. Real beauty in structure-based design arises from a precise balance of complementarity and simplicity in the design. And of course there is the always important consideration of synthetic accessibility, which is why every modeler should ideally take a basic course in organic synthesis. Beyond structure-based design, there are other considerations that endear molecules to modelers. 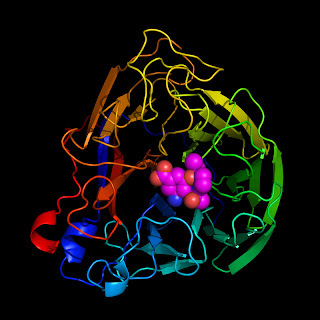 Protein structures are not always available, and in the absence of such structures, molecular similarity alone is sometimes used to find novel active molecules. The question is simple; given a known molecule of high potency, how will you discover molecules similar to it in structure. The answer is complicated. The key to realize here is that this similarity must be defined in three dimensions since all molecular interactions are in 3D. Conformational similarity is one of the most elegant considerations for a modeler, and one that synthetic chemists often don't contemplate. Very few things provide as much satisfaction to a modeler as the observation that two molecules with very different 2D structures seem to adopt the same biologically active 3D conformation in solution and in the binding pocket. And a particularly gratifying and rare find - for both modelers and synthetic chemists - is a molecule which nature has sterically constrained to a single dominant conformation by the judicious placement of certain functional elements. 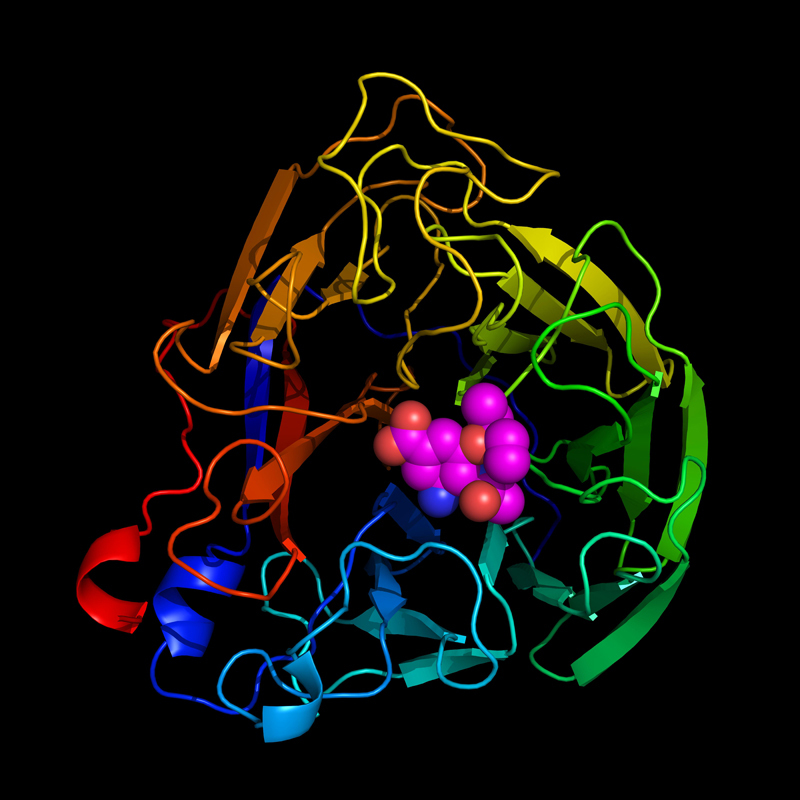 Discodermolide, a microtubule binding agent which I worked on in graduate school, belongs to this category. Those then are the criteria that come to my mind for defining molecular elegance - perfect (but not too perfect) shape complementarity to a precisely structured binding site, a well-defined 3D conformation often similar to a completely different molecule and simplicity in structure in spite of these other demanding features. Conflicts arise when modelers' and chemists' notions of molecular pulchritude diverge. And it's a happy coincidence when these sensibilities overlap, which is more often than you might think. Oh yes, I love that site.